C&C, the owner of the Bulmers/Magner cider brand and Tennents lager, will soon enter the Chinese market, after it signed a distribution deal for the world’s most populous country. The company, which on Wednesday reported a fall of 10 per cent in operating profits in the year through February, is eyeing further growth in its international division, where sales rose last year by more than 12 per cent. C&C continues to face challenges in its main markets of Ireland and Britain due to increased competition, and poor weather hitting cider sales. Net cider sales in Ireland fell 16 per cent in the year, partially due to the entry of Heineken’s Orchard Thieves brand into the market. The company is setting its sights on major growth in Asia. C&C will announce in coming weeks it has signed a distribution deal with Vandergeeten, which has offices and Beijing and Shanghai. Vandergeeten has previously acted as Chinese distributor for western food and drinks companies such as Inbev. 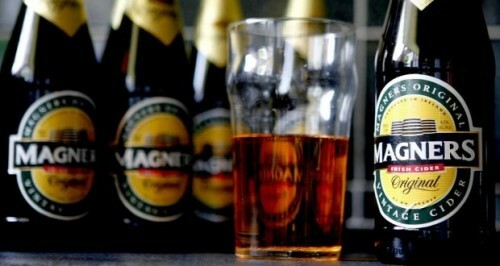 The deal with C&C covers Magners and Tennents. C&C has also signed distribution deals in India and Thailand. Stephen Glancey, chief executive of C&C, said the drinks industry mega-merger between SAB Miller and AB Inbev was opening up opportunities for companies such as C&C, as the merged entity sheds some distributors. C&C told investors yesterday it would see an improvement in earnings in the coming year, after sales fell 3 per cent to €662 million and the fall in profits, which had been well flagged. New drink driving regulations in Scotland affected the business, while increased competition in Ireland and also in the US also presented challenges. The company cheered investors, however, by hiking its final dividend more than expected to 13.65 cents. Mr Glancey said it would continue a progressive dividend policy as it looks to attract new investors to the group, especially those looking for yield. Mr Glancey said that despite the challenges in the Irish market, it would continue to invest in pushing Bulmers in pubs. Mr Glancey said the brand’s sales in the Irish market are about six times that of Orchard Thieves. In the US, it has signed a deal to hand over sales and distribution to Pabst. The agreement will come fully into force in May. C&C remains on the lookout for bolt-on acquisitions in its home markets. Further afield, it has hired a new head of Africa, and is targeting growth across the region.